Round 21 of Liga NOS. 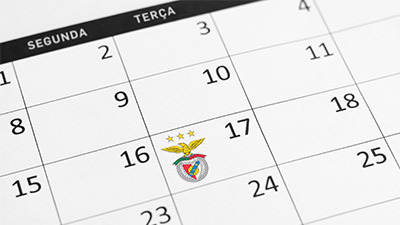 Benfica-Nacional, a match from round 21 of the Liga NOS at Estádio da Luz. Final score: 10-0. The match commentary on the MATCH CENTER of the Official Website. Benfica's starting XI: Odysseas; André Almeida, Rúben Dias, Ferro and Grimaldo; Samaris, Gabriel, Pizzi and Rafa; João Félix and Seferovic. Substitutes: Svilar, Florentino, Gedson, Krovinovic, Salvio, Cervi and Jonas. Nuno Almeida, referee from AF Algarve, was named by Conselho de Arbitragem of Federação Portuguesa de Futebol for the match SL Benfica-Nacional. Forwards: Seferovic, Jonas and João Félix.